Gov. 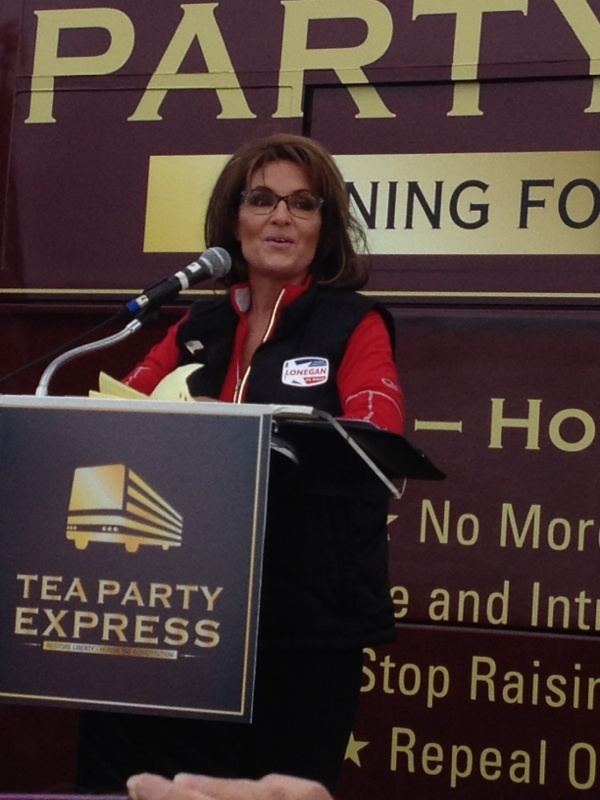 Palin: Let’s work to get Steve Lonegan to the Senate! 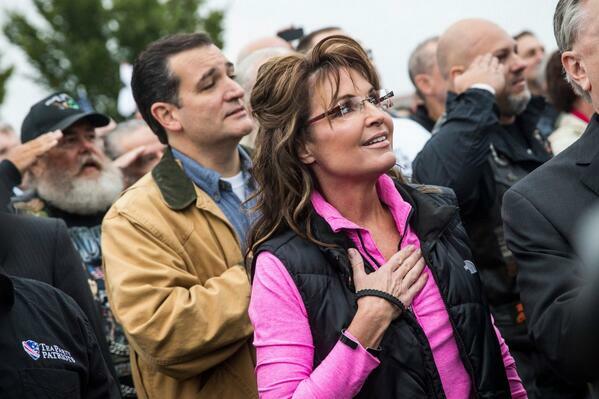 Governor Palin posted the photo above and this comment on her Facebook page this afternoon. The momentum is on Steve Lonegan’s side coming into next Wednesday’s election in New Jersey! Please visit Steve’s website to find ways to help out. 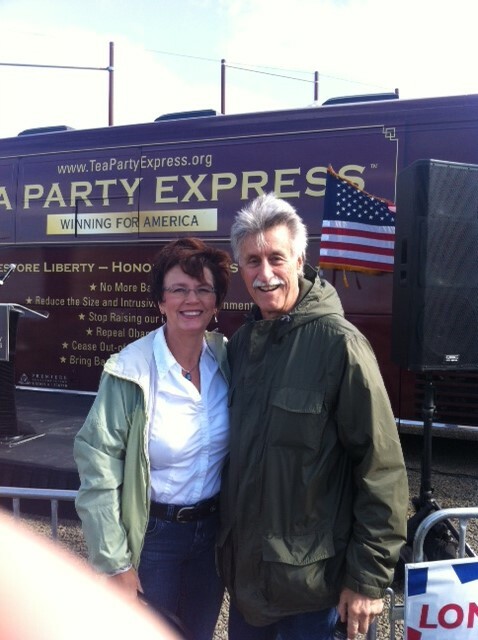 It was such an honor to rally for Steve yesterday in NJ. 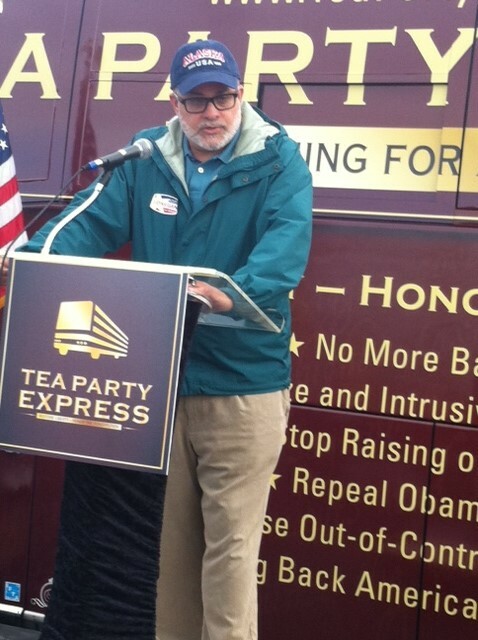 Thank you again to everyone who came to join us – including “The Great One” Mark Levin and Tea Party Express. Later in the afternoon, she posted this comment. Let’s work to get Steve Lonegan to the Senate! Vote this Wednesday, New Jersey! Here’s the video from yesterday’s rally. She shared a link to this page. 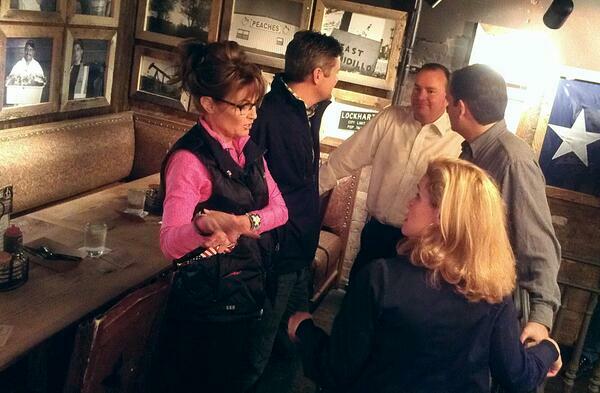 Governor Palin posted the photo above and the comment below on her Facebook page today. We were proud to stand with thousands of America’s vets and other patriotic Americans today in Washington, D.C. This morning, Todd and I met with Senators Ted Cruz and Mike Lee, and they joined us and other Americans at the World War II Memorial and then at the Lincoln Memorial, where we were met by a SWAT team in full riot gear! Watching those who have fought to protect freedom prevented by barricades from visiting these memorials to freedom was truly heart wrenching. Seeing the unity of the American people as they joined together and rose up against this out of touch government was an inspiration. God bless our veterans, those who continue to serve, and their families. 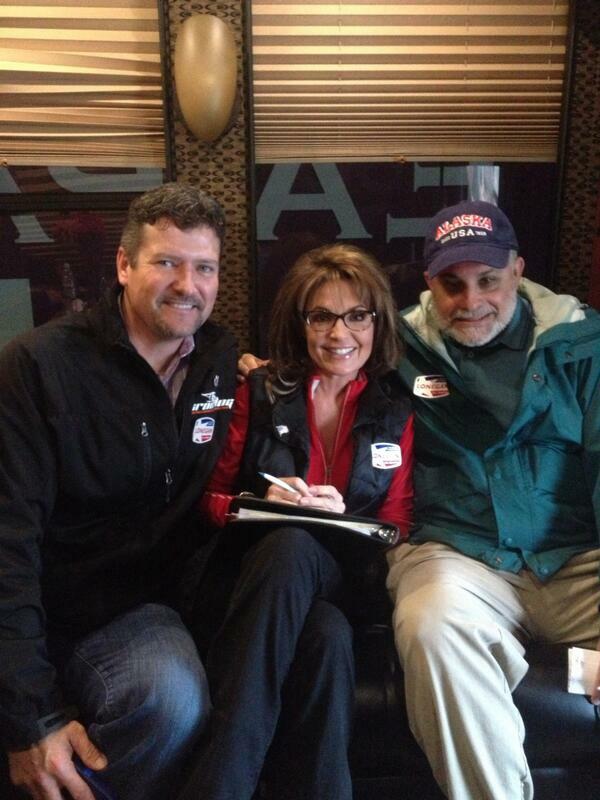 We’re here to show that the size of America’s heart for our veterans is immeasurable! But look around – barricades to shut down our memorials? Is this how a Commander in Chief expresses his gratitude? This “shutdown” priority proves a shameful lack of respect. It reflects a person’s lack of valor. 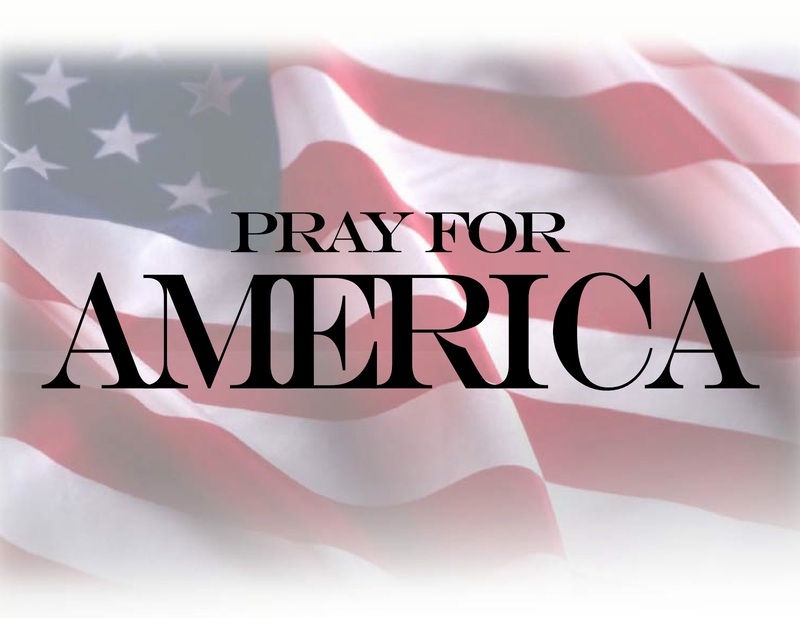 So, as we honor you, U.S. Military, know that our gratitude will not sleep! We will be brave! You were not timid, so we shall not be timid in calling out ANY who heart-wrenchingly would use you as pawns in a political game. America’s finest paid the price for our freedom today. Vets, you protected us from tyranny then. Rest now, it is OUR turn to protect against tyranny again. Ronald Reagan said, “Some people live an entire lifetime wondering if they ever made a difference in the world.” YOU, vets, need never ask that of yourselves. You made ALL the difference! Our war memorials remind us of the cost to keep us free. YOU paid the price! Rest now! We will pick up the mantle. We won’t let you down. We now take up the fight for freedom! She also posted 13 photos, including those below, on her Facebook page. Here is another photo from the DC event that was posted on Twitter by @DosMasCervezas. Money bomb for the Steve Lonegan campaign e-mailed today by the Conservative Campaign Committee. Also view here. Thousands turn out for Lonegan Election Victory! 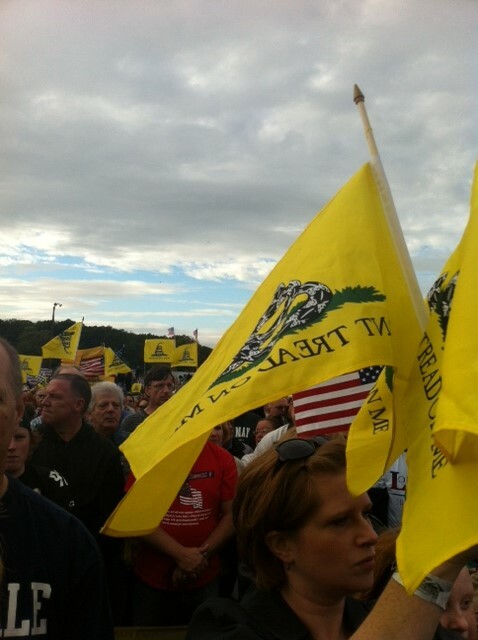 Thousands upon thousands of people have gathered for a massive rally supporting our Conservative Republican candidate for U.S. Senate, Steve Lonegan, in the upcoming Special Election in New Jersey. 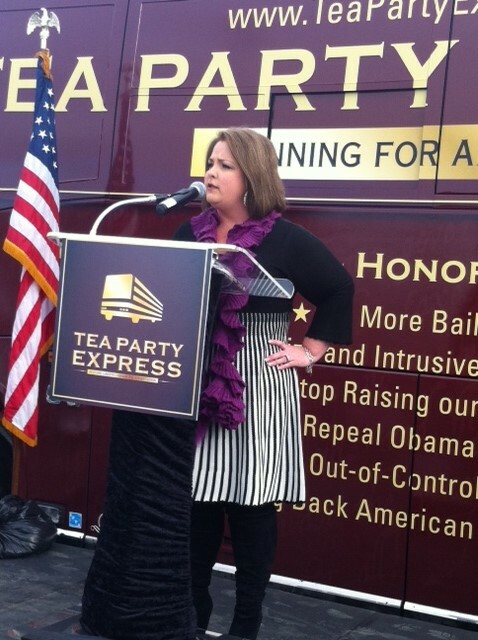 The rally was organized by the Tea Party Express and featured Gov. 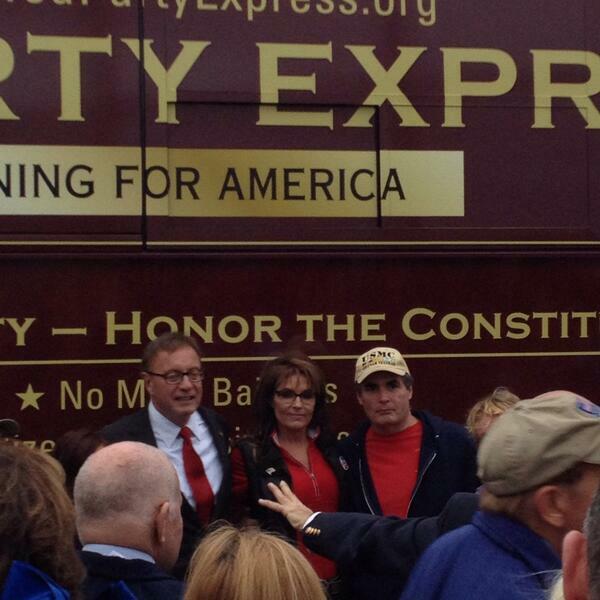 Sarah Palin, radio talk show host Mark Levin and of course Republican nominee for U.S. Senate, Steve Lonegan. 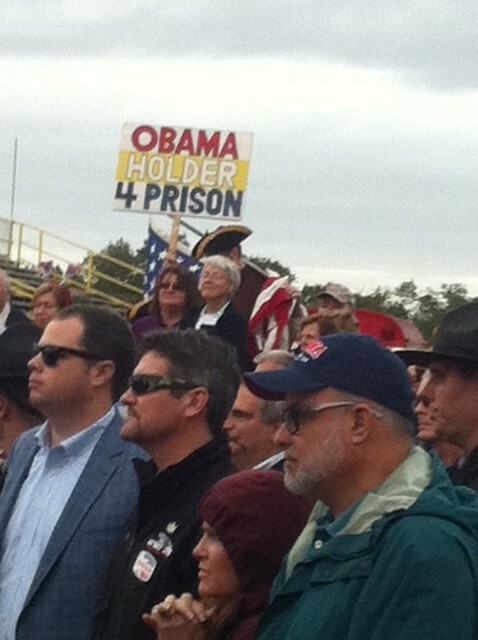 Below are some of the stunning photos from this wonderful rally. It shows the huge momentum we’ve built in this race, and as we are in the final week of the campaign we need your financial support so we can match Democrat Cory Booker dollar-for-dollar in TV and radio advertising. You can support our independent expenditure campaign for Steve Lonegan by making a contribution to our Lonegan Money Bomb online – HERE. 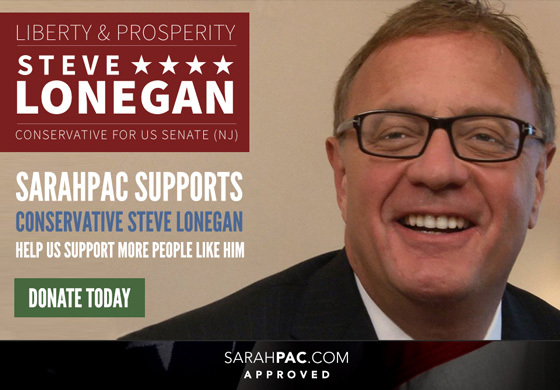 With the Special Election taking place this Wednesday, October 16th, conservatives from across the nation are rallying to help propel Steve Lonegan to victory. We are in the middle of a fundraising drive to purchase TV ads supporting Steve Lonegan on Sunday Night Football and also on Prime Time Shows. But time is running short and we need your support now. Please help us purchase airtime for these critically important TV ads by making a contribution online to our Lonegan Money Bomb – HERE. You can contribute any amount from as little as $5 up to the maximum contribution amount of $5,000. To help us fund these Sunday Night Football and Prime Time ads we need 11 more people to contribute $100 or more by tomorrow morning. To make a contribution of $100 or more – CLICK HERE. Paid for and authorized by the Conservative Campaign Committee. Not authorized by any candidate or candidate’s committee. 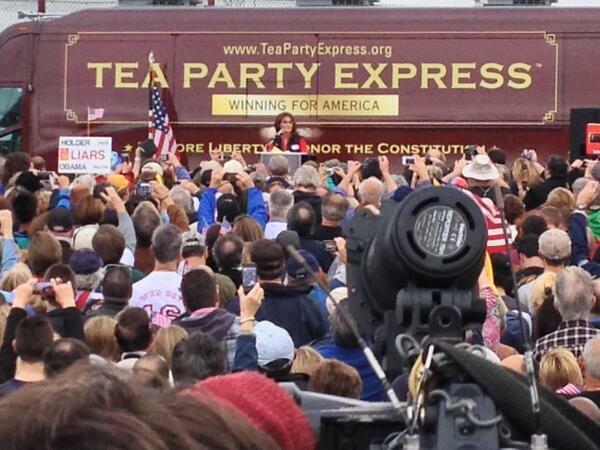 You can view Bill Hughes’ live tweets from the Lonegan rally here. 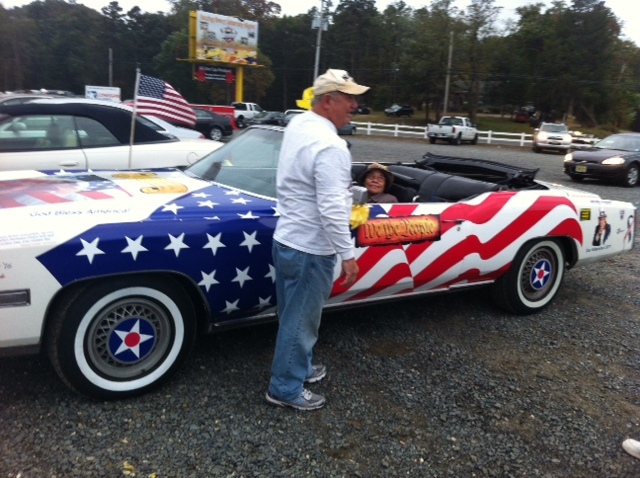 Todd and I are going to D.C. tomorrow to honor our vets at our war memorials. 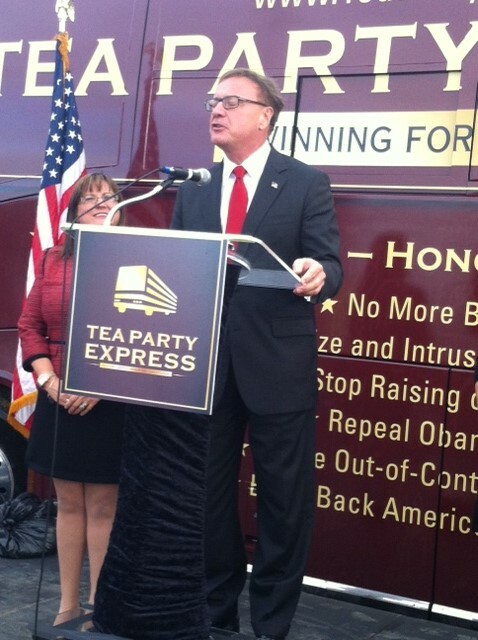 We had a great time today in NJ rallying for Steve Lonegan with “The Great One” and Tea Party Express! Former Alaska Gov. Sarah Palin announced that she will travel to Washington, D.C. on Sunday to support and honor the veterans who will be arriving for the “Million Vet March” on the memorials. Palin then accused the Obama administration of “using our military as pawns” during the government shutdown with such actions. 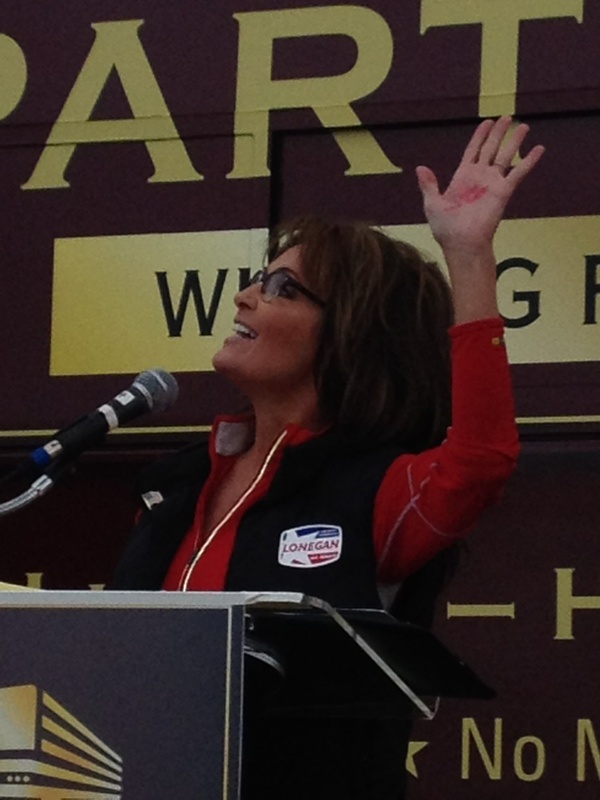 Palin noted that the memorials, though they received some federal assistance, were also built with private donations. 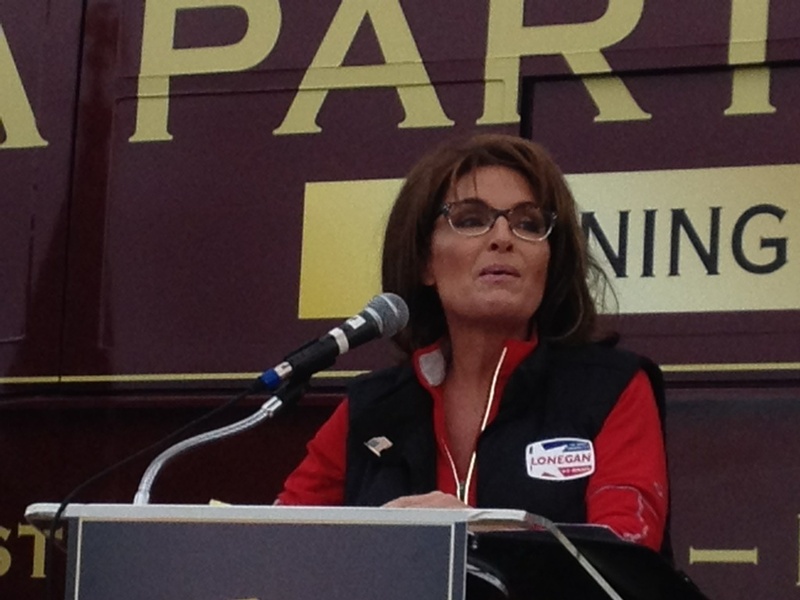 Palin has previously urged Obama administration employees to engage in acts of civil disobedience at the “Barrycades.” The “Million Vet March” is being organized by Special Operations Speaks. Veterans will demand that the Obama administration re-open the memorials and urge Congress to pass legislation to forbid the memorials from being closed in future government shutdowns. Go here to see a video of trucks circling the Beltway yesterday during Day 2 of the trucker protest. May the voices of all the veterans and other patriots gathered at the Veteran Memorials today be heard from sea to shining sea!